What is poetry? Often it is understood as a largely self-enclosed verbal system—“suspended from any mutual interaction with alien discourse,” in the words of Mikhail Bakhtin. But in Poetry and Its Others, Jahan Ramazani reveals modern and contemporary poetry’s animated dialogue with other genres and discourses. Poetry generates rich new possibilities, he argues, by absorbing and contending with its near verbal relatives. Exploring poetry’s vibrant exchanges with other forms of writing, Ramazani shows how poetry assimilates features of prose fiction but differentiates itself from novelistic realism; metabolizes aspects of theory and philosophy but refuses their abstract procedures; and recognizes itself in the verbal precision of the law even as it separates itself from the law’s rationalism. 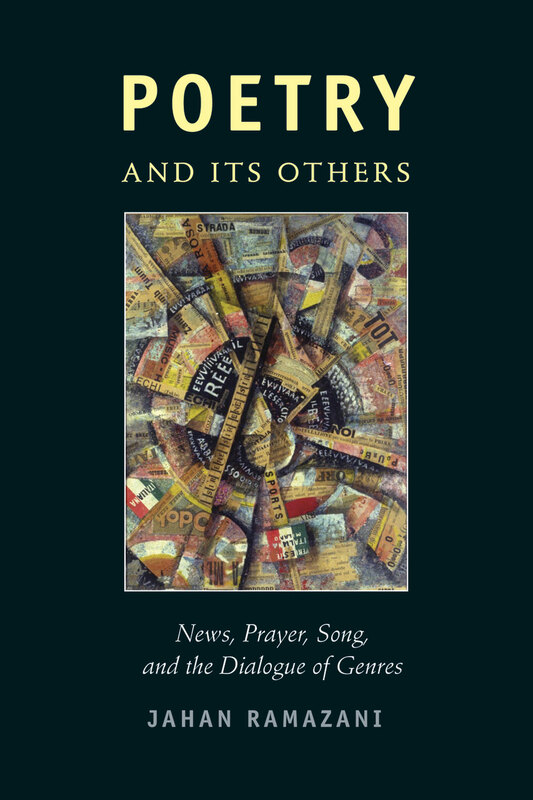 But poetry’s most frequent interlocutors, he demonstrates, are news, prayer, and song. Poets such as William Carlos Williams and W. H. Auden refashioned poetry to absorb the news while expanding its contexts; T. S. Eliot and Charles Wright drew on the intimacy of prayer though resisting its limits; and Paul Muldoon, Rae Armantrout, and Patience Agbabi have played with and against song lyrics and techniques. Encompassing a cultural and stylistic range of writing unsurpassed by other studies of poetry, Poetry and Its Others shows that we understand what poetry is by examining its interplay with what it is not. "Ramazani casts much light on the question of what poetry is—or perhaps what it does. . . . [H]is approach opens new possibilities for reconsidering how poems. . . are in dialogue with philosophy or with contemporary writing about the visual arts." "Like a poem, Ramazani’s book converses with us, and then quietly leaves us, so we can ponder the consequences on our own."